Considering having a spring marquee wedding? Because tying the knot in spring is becoming more and more popular because Spring weddings are such a romantic time of year – so make the most your annual holiday for an Eater weekend wedding! Because the beauty of having a marquee is that you can carry the celebrations on by using the space the next day for post-wedding festivities. 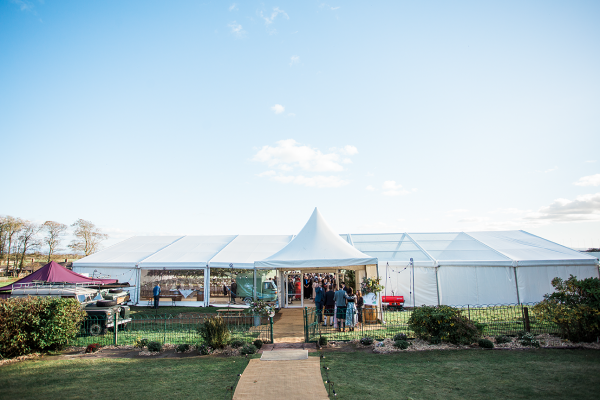 Call in the pros – winter marquee weddings, spring marquee weddings are no problem for us! 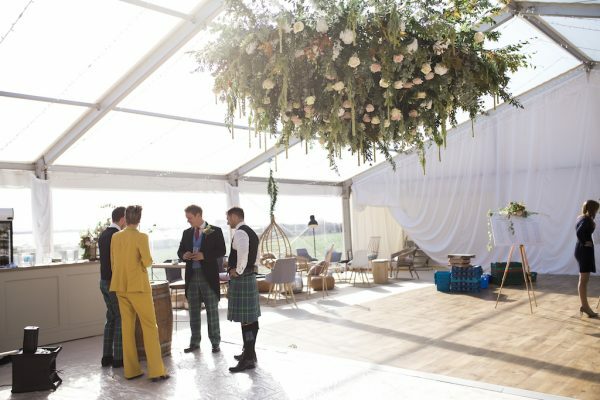 If you choose a Scottish marquee wedding in spring, just remember to plan ahead. Play it safe by considering all the little extras that the season might affect. 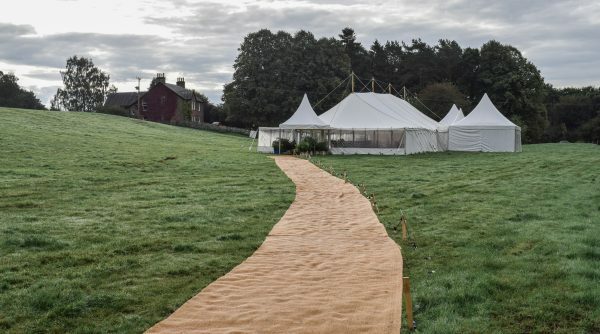 You won’t get caught out by a spring shower because our coconut matting marquee walkways will keep your feet clean and stop high heels sinking into damp ground. Beautiful sunny days in spring with clear blue skies can be chilly but don’t let that put you off, because hiring a marquee heater is both simple and effective. 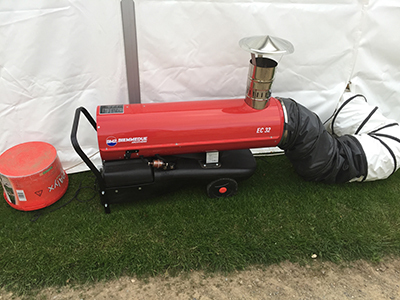 Our energy-efficient, thermostat-controlled ducted marquee heaters are easy to control and will keep guests at a comfortable temperature – we calculate how many you need for the space for you. It get dark earlier during a spring marquee wedding so that means marquee lighting and creating an amazing atmosphere is even more important. Spring is the perfect time to play with colours and interior marquee lighting – our fairy light marquee canopy is perfect. 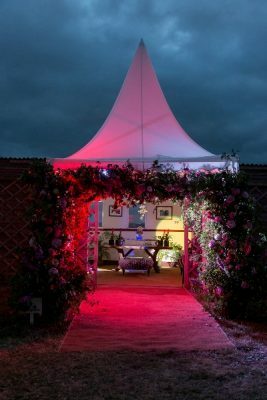 We believe exterior marquee lighting for your spring wedding marquee, is a great excuse to create dramatic effects when it gets dark with coloured flood lights on trees and by the marquee entrance. Spring is the perfect time for seasonal floral centre pieces to add colourful flair to your big day. See our recommended wedding planners and florists who will have lots of ideas on how to beautify your marquee to your personal taste. 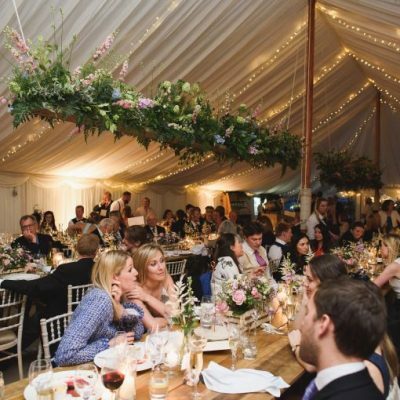 There are no limits to the wedding catering options for a spring marquee wedding. It could be a formal meal, a buffet or even a warming hog roast. Our recommended caterers will be more than happy to discuss top-quality, seasonal produce. One aspect you will need to remember is access to running water. 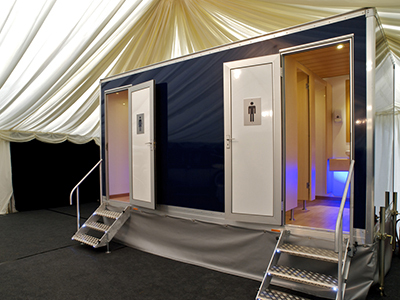 Portable toilet hire for weddings are spacious and nicely decorated to provide luxury for you and your guests. We can also put a marquee over the toilets so no one gets wet if it rains! Bordaloo have a great range. 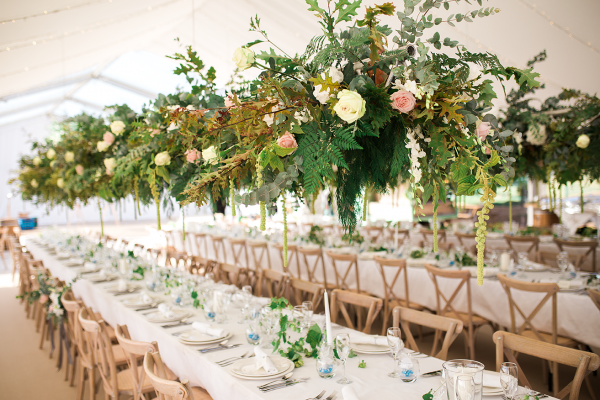 Spring Marquee Weddings – Do it! 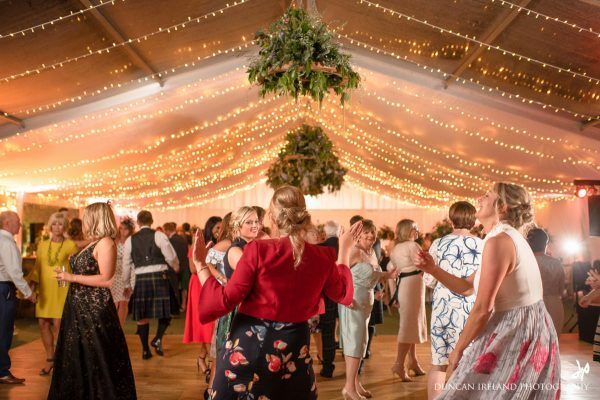 A marquee wedding spring is a great idea so don’t be put off by the weather because what better way to begin the year than with an unforgettable Scottish marquee wedding!